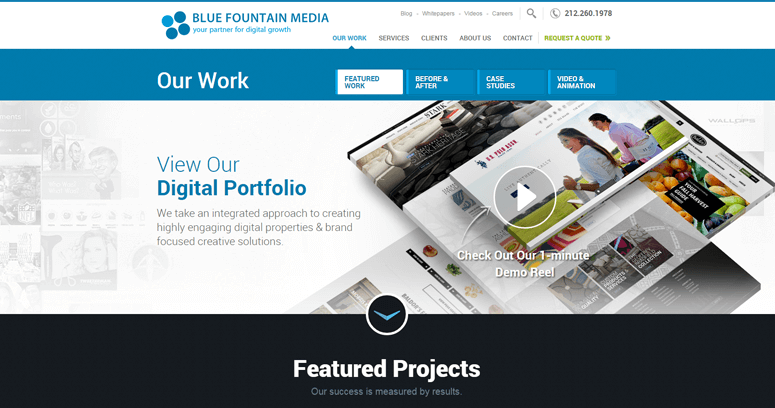 Blue Fountain Media offers consulting, creative design, website development and digital marketing services for clients in all industries. 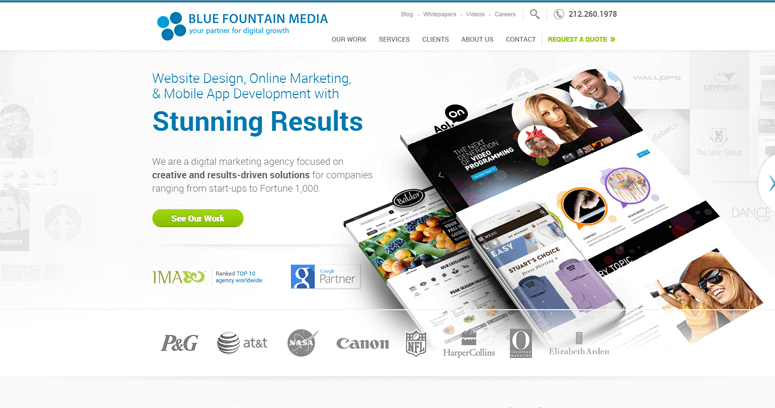 They begin by analyzing the client's position in the marketplace, so the creative team at Blue Fountain can create a custom strategy to help each client reach their goals for their online business. Typical methods to increase conversion rates for clients include website redesign, a targeted PPC campaign and search engine optimization that attracts purchase-oriented traffic. 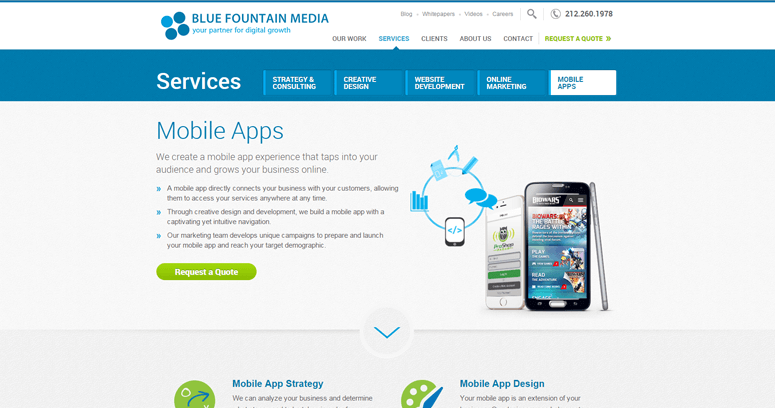 Blue Fountain Media also does branding, logo and app design and video production. They are a full-service digital marketing agency offering everything companies need to increase awareness of their brand online.